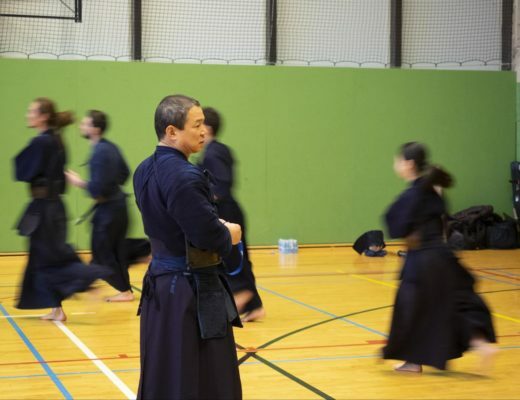 It is a big problem that the continuation rate of kendo in Japan is declining, but what kind of efforts do other countries make where kendo population is not so big as Japan? 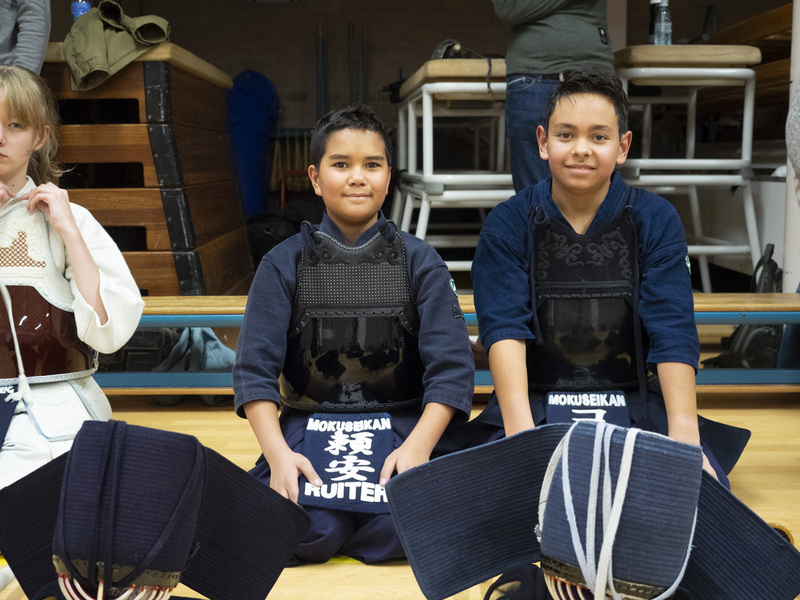 This time, we will introduce the efforts of a joint kendo training for kids held in Amstelveen, The Netherlands at the end of October 2018. 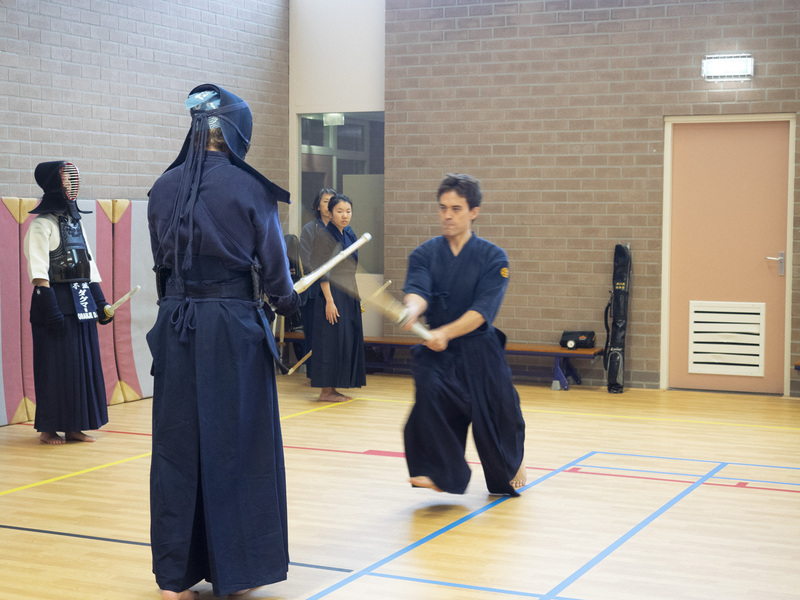 On Saturday, October 27, 2018, a joint kendo training for boys and girls was held at the Kendo Dojo, Renshinjuku, in the Netherlands. It is a three-dojo joint practice with Renshinjuku, Mokuseikan and Fumetsu dojo. This initiative started from the spring of this year and is carried out on a regular basis. First, there was basic training. Jouke who is the National Team Captain, taught techniques carefully one by one. Also, the teachers advised the Kids when they practiced. After basic lesson, we did shiai training. In the Netherlands, there are few kids’ tournament so these practices are a very valuable opportunity. 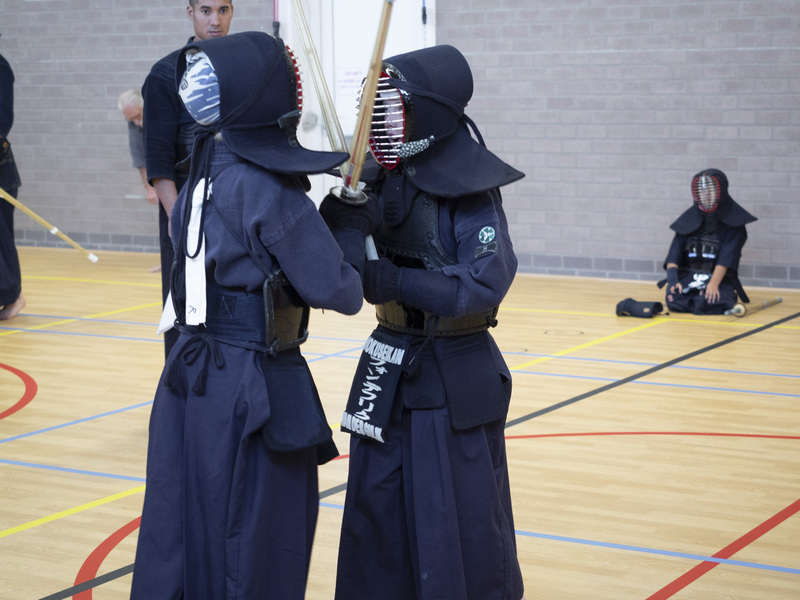 Since there will be a kendo tournament in Düsseldorf, Germany in November, it became practice for that. 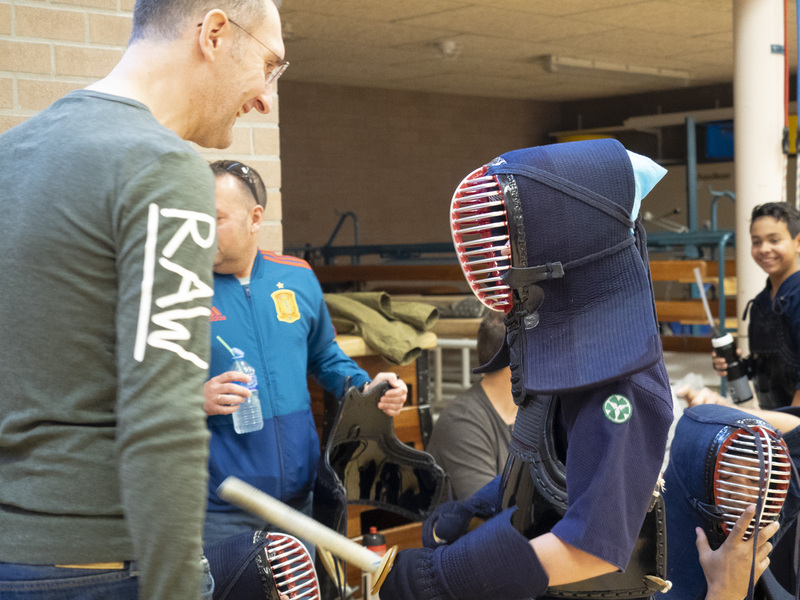 It was very impressive to see that parents cheer for their children and the teachers talked to kids and try to convey the attractive points of kendo. Regardless of the country, the dojo which has good atmosphere is that parents, teachers, kids have become a trinity, and cooperate together. Patrick´s story of teaching children at Mokuseikan was also very impressive. Mokuseikan is a relatively young dojo founded in 2009. 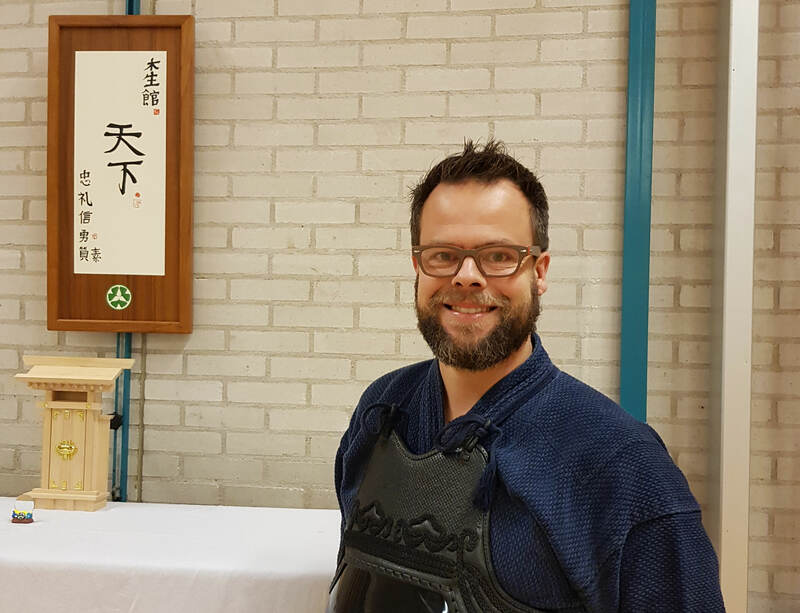 Patrick started kendo over 16 years ago and in 2010 he became a member of Mokuseikan. `What should I do to make a better dojo…? When I thought about this, it came down to a young generation. Patrick discussed this idea with the other members of the board of the dojo, and in September 2014 started a class for kids that had not been until then. It is rare in the Netherlands, and they are all Dutch. 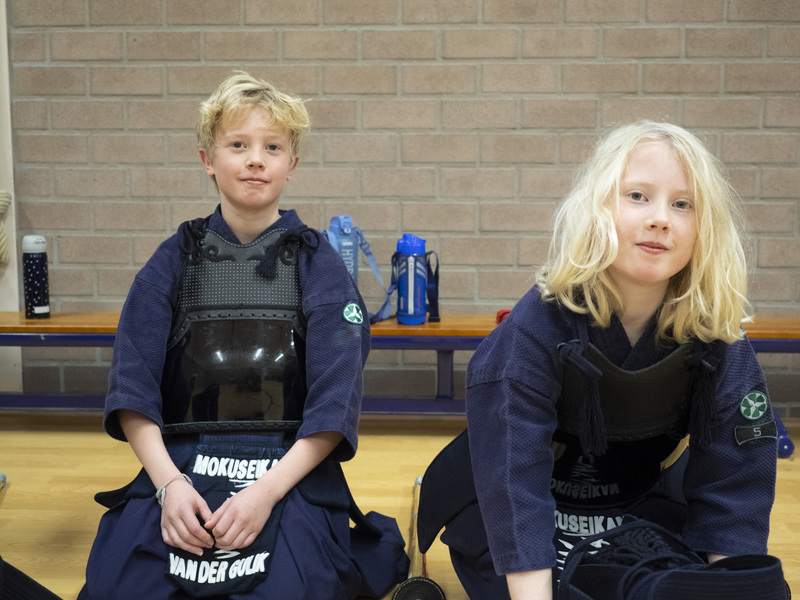 Patrick sometimes doesn’t understand why he has one of the few successful kids kendo groups in the Netherlands. “I am only 3dan”. 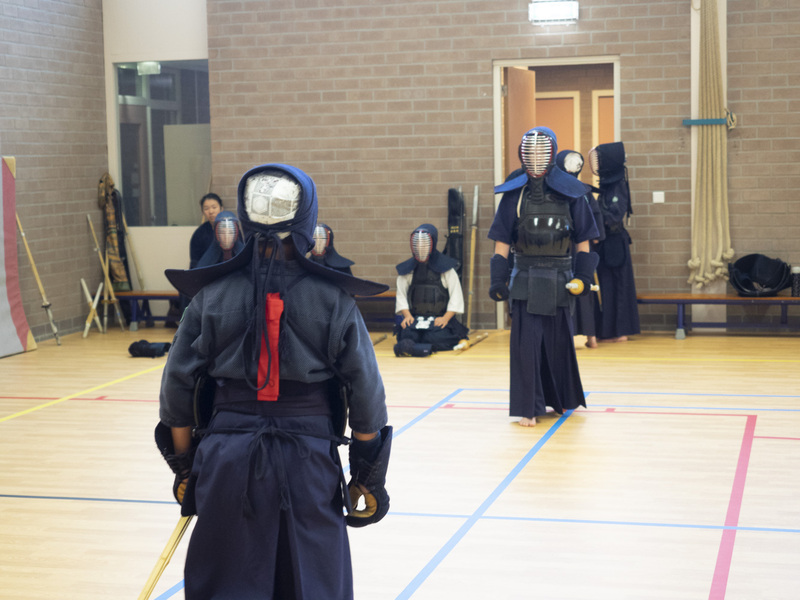 But he says “That’s OK.” The most important thing in having a successful kids kendo group, is that teacher likes kids, and kids also like teacher. I also asked the Mokuseikan kids why they started practicing kendo. As I wrote before, there are only Dutch kids in Mokuseikan. The teacher is also Dutch. 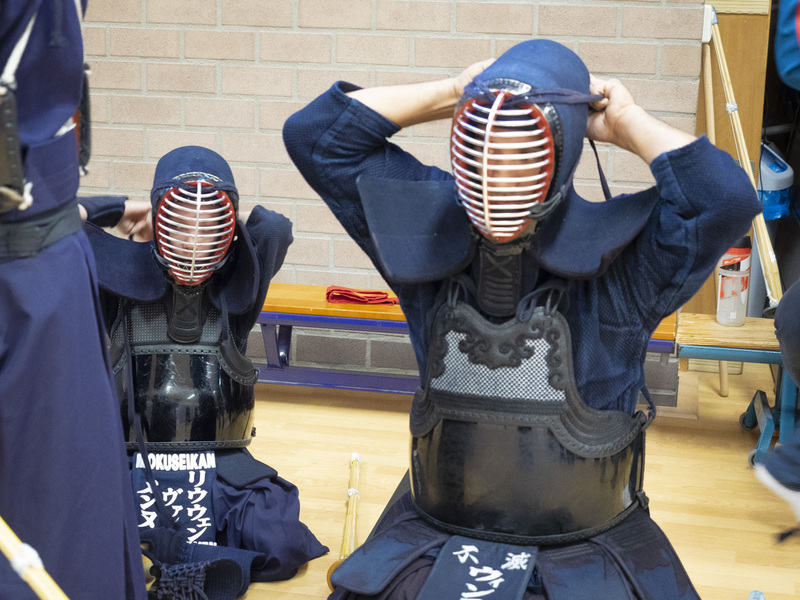 How did they learn about kendo and what motivation keeps them going? In the Netherlands, kids start regional sports at a certain age. 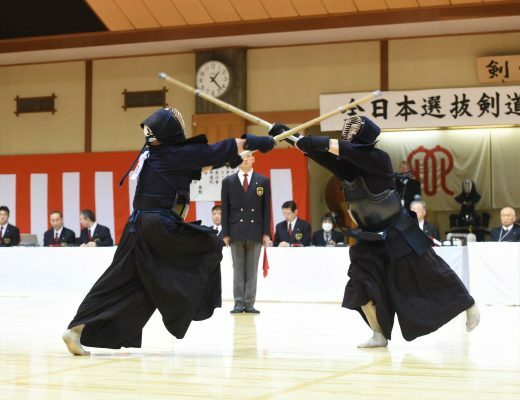 When choosing sports, he was interested in kendo as an individual sports, not team competitions such as football and basketball. He enjoyed every time he did kendo. He seems to be fascinated with ethics and the friendship in dojo. The immediate goal is to win in the tournament to be held in Germany, to get sho-dan and to selected as a national team member. 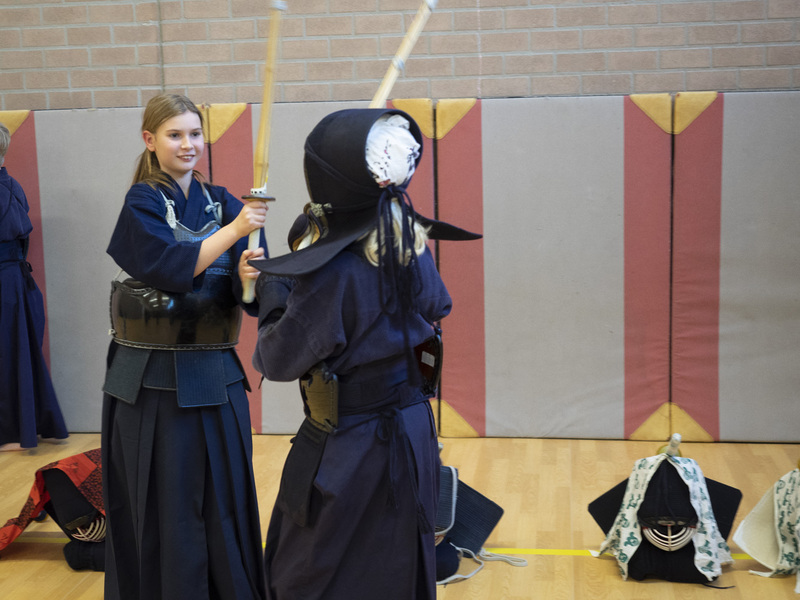 Evi began Kendo on the occasion that her older brother started kendo. Looking at the demonstration, she was interested in it. Her father secretly told me “Evi told me. 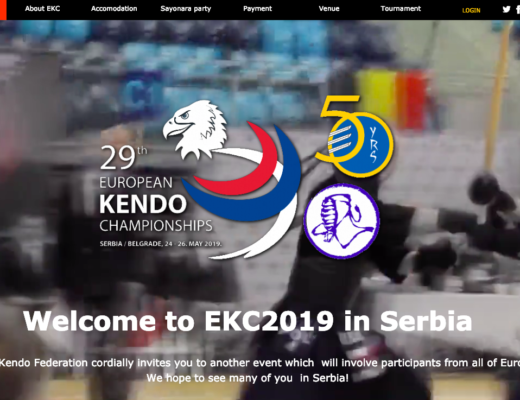 Her favorite part of Kendo is that she can scream as loud as she wants.” Her goal is to win in the tournament, to improve, and to join the Netherlands national team. She wanted to do fighting sports. So she searched by herself and started kendo. Currently she is 11 years old. The goal is to be chosen as the Netherlands representative and to become stronger. From the efforts of this joint practice, teachers from each dojo, members of the national team, and parents cooperating I felt strongly that we are raising these children together. I think that is a wonderful effort.